Adam joined the firm in April 2016, and is an associate attorney in the litigation group. He primarily practices in the areas of business litigation, transactional contract drafting and negotiating, plaintiff personal injury litigation, insurance defense, insurance coverage, bad faith defense, premise liability, commercial law, and corporate law. Adam has represented companies ranging from small businesses to Fortune 500 Companies with gross annual revenue exceeding $1Billion. In practice, Adam enjoys drafting and reviewing contracts of all types for any size business. He also gravitates toward personal injury matters involving complex and/or catastrophic injuries. 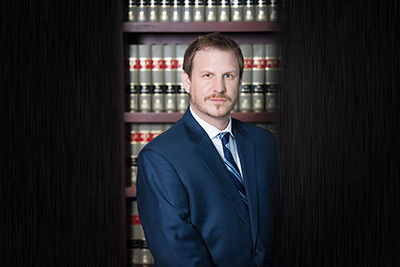 Using knowledge gained growing up with a father that was a practicing physician and a mother who was a registered nurse, Adam excels at reviewing medical records and understanding matters involving bodily injuries. Additionally, Adam also has the innate ability to handle a wide range of insurance coverage issues and issues involving “bad faith” claims against insurance companies, with recent cases involving missing artwork, fire claims, and professional malpractice claims. He also has handled complex matters involving the proliferation of claims made against creditors under the Fair Credit Reporting Act (FCRA), the Fair Debt Collection Practices Act (FDCPA), and currently represents several national lenders and banks regarding the various aspects of Home Owners’ Association (HOA) “superpriority” lien home foreclosures and the resulting litigation. 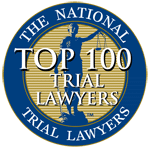 Adam has been admitted to practice law and remains in good standing in both the State of Nevada and the United States District Courts. Prior to joining the firm, he worked as an associate attorney for several prominent local firms and he also operated his own solo law practice. Adam earned his Bachelor of Arts degree in Political Science, with a Minor in Law and Society, from the University of Southern California (USC) in 2006. He received his Juris Doctorate degree from the William S. Boyd School of Law in 2010, during which time he served as a Judicial Extern to the Honorable Mark R. Denton, District Court Judge, Department XIII. 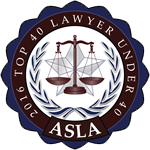 Adam has been named a Mountain States Rising Star by Super Lawyers magazine, a member of the Legal Elite by the Nevada Business Magazine, a Top 100 Trial Lawyer by The National Trial Lawyers, and one of the Top 40 Litigation Lawyers Under 40 in Nevada by the American Society of Legal Advocates. Clients appreciate Adam’s availability, attention to detail, and always knowing the status of their matters. He strives to return every phone call and email within 24 hours, generally returning calls and emails within minutes. In his personal time, Adam enjoys playing sports, especially hockey, skiing, and skydiving. He is an avid fan of the Vegas Golden Knights hockey team and anything involving the USC Trojans.